The Sound of Music is the perfect family musical based on the true story of the Von Trapp family members. When a postulant proves too high-spirited for the religious life, she is dispatched to serve as governess for the seven children of a widowed naval Captain Von Trapp. Her growing rapport with the youngsters, coupled with her generosity of spirit, gradually captures the heart of the stern Captain. Shrewsbury’s ‘Get Your Wigle On’ are known locally for previous productions Grease, Sister Act, Hairspray, CATS to name just a few in a long list of shows they have performed in Theatre Severn. The company of all local performers have been working hard in rehearsals at their Shrewsbury studio to bring the music and lyrics to life. Jemma Game has landed the role of Maria, a character made famous by Julie Andrews in the iconic film. Jemma joined the company in 2014 and has gone on to wow audiences as Rizzo in Grease and Molly in Ghost. The score to this musical is filled with household favourites that will be brought to life by a live local orchestra and features songs including I Have Confidence, The Hills Are Alive, So Long Farewell, Edelweiss and Do Re Mi. 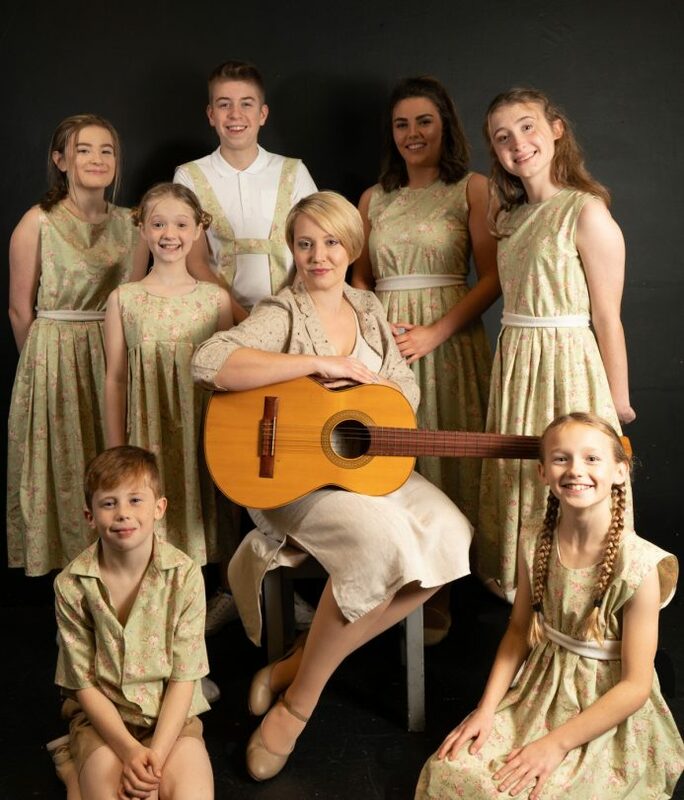 The Sound of Music is being performed at Shrewsbury’s Theatre Severn from Tuesday 4th – Saturday 8 June with performances nightly at 7.30pm and an additional Matinee at 2.30pm on Saturday. Tickets available from www.theatresevern.co.uk or by calling the box office on 01743 281281.